Methylation is a biochemical process essential for the optimal function of many body systems. A growing body of research suggests that there is a connection between impaired methylation and autism spectrum disorder (ASD). Read on to learn about the relationship between methylation and autism and why environment trumps genetics when it comes to preventing and treating this increasingly common neurodevelopmental disease. The topic of methylation has exploded in popularity in recent years. An increasing number of healthcare practitioners are incorporating methylation assessment into their clinical practice, and the market for direct-to-consumer genetic testing, which allows people to identify genetic variants that may impact methylation, is booming. Methylation is the process of transferring a single carbon atom and three hydrogen atoms, collectively referred to as a methyl group, from one substance to another in the body. The transfer of methyl groups regulates countless biochemical processes, including cell division, gene expression, DNA and RNA synthesis, development of the nervous system, immune cell differentiation, neurotransmitter synthesis, histamine clearance, and detoxification. To learn more about the ins and outs of methylation, listen to my podcasts Methylation 101, Methylation—What Is It and Why Should You Care? and What Influences Methylation? 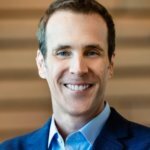 An Interview with Dr. Ben Lynch. In autism, genetic variants such as MTHFR may load the gun, but the exposome pulls the trigger. There are many simple yet effective steps we can take to modulate the exposome, optimize methylation, and reduce the risk of autism in our children. Optimal methylation and its opposite process, demethylation, are central to the maintenance of our physical, mental, and emotional health. Consequently, methylation deficits have many adverse effects on the body. Conditions associated with impaired methylation include fatigue, difficulty losing weight, depression, anxiety, hormone imbalances, poor detox capacity, infertility, and an increased risk of cancer. However, a growing body of research indicates that we should add another item to this list of conditions affected by impaired methylation—autism spectrum disorder. A growing body of research indicates that methylation influences the development of autism. Variants in the MTHFR gene and the presence of folate receptor autoantibodies are two factors that mediate the relationship between methylation and autism. Folate receptor autoantibodies (FRAAs) also influence methylation and ASD. FRAAs bind to folate receptor A (FRA) in the brain, preventing folate from entering the brain. Blocked folate receptors cause cerebral folate deficiency, which impairs methylation and brain function. Autistic children have a high prevalence of FRAA compared to non-autistic children. (4) In children with folate receptor autoantibodies, folate must be delivered to the brain via a route that bypasses the blocked receptor. Folinic acid, a non-methylated form of folate, readily crosses the blood–brain barrier and has been found to improve verbal communication in children with ASD. (5) The research on the relationship between MTHFR variants, folate receptor autoantibodies, and ASD suggests that supplying 5-MTHF and folinic acid may help correct methylation deficits and alleviate symptoms in children on the ASD spectrum. The completion of the Human Genome Project in 2003 ushered in an era of “biological determinism,” the belief that human health and behavior are controlled primarily by our genes. However, relying solely on genes to predict and prevent disease is misguided because our bodies don’t have enough genes to support the concept of biological determinism. Scientists now understand that factors that influence gene expression, rather than genes themselves, are responsible for driving disease. The study of the mechanisms that change the way genes are expressed but don’t alter the underlying genetic code is called epigenetics. Methylation is just one of many epigenetic mechanisms that influence gene expression. The sum of environmental exposures to which a person is exposed over the course of his or her lifetime, referred to as the “exposome,” epigenetically influences methylation and gene expression. I previously wrote about the exposome in my article “Why Your Genes Aren’t Your Destiny.” In autism, genetic variants such as MTHFR may load the gun, but the exposome pulls the trigger. (6) Some of the environmental factors that epigenetically influence the development of autism include diet, dysbiosis, maternal infection, and environmental toxins. Fascinating new research indicates that gut bacteria epigenetically modulate gene expression; subsequently, alterations in the gut microbiome may impair methylation. (7) Dysbiosis is a common problem among autistic children that may contribute to methylation deficits. (8) Correcting dysbiosis and restoring a healthy microbiome may help correct underlying methylation issues in children with ASD. Maternal infections increase the risk of autism spectrum disorder by epigenetically altering the expression of genes associated with ASD in the fetal brain. (11, 12) Identifying and treating infections before a woman becomes pregnant may significantly reduce the risk of her child experiencing impaired methylation and ASD. The exposome plays a crucial role in the regulation of methylation and the risk of ASD. Fortunately, there are many simple yet effective steps we can take to modulate the exposome, optimize methylation, and reduce the risk of autism in our children. Identifying MTHFR genetic variants is a good first step to take when addressing methylation problems in ASD spectrum children. I recommend doing genetic testing through 23andMe. Once you have the results of your child’s 23andMe test, you can run the data through Genetic Genie to get methylation results. Variants in MTHFR C677T increase a child’s risk for methylation issues and autism spectrum disorder. It is important to remember that just because a genetic variant is present does not mean it is being expressed. I recommend that functional methylation testing, such as the Doctor’s Data or Health Diagnostics Research Institute methylation panel, be done in conjunction with genetic testing. Functional methylation testing can help your healthcare practitioner determine whether a given genetic variant is impacting your child’s health and how to go about treating a methylation deficit. To that end, it is important to work with a practitioner who is familiar with methylation; methylation is a complex topic, and self-treating is often an inefficient (and costly) way to approach this health issue. It is crucial that epigenetic causes of poor methylation be addressed in children on the ASD spectrum. An ancestral diet provides the nutrients required for methylation, including folate, riboflavin, B6, B12, zinc, choline, glycine, creatine, betaine, and magnesium. Targeted nutrient supplementation can also help; 5-MTHF may benefit autistic children with MTHFR variants and folinic acid helps those with folate receptor autoantibodies. In my practice, I am having success with a methylation protocol developed by Chris Masterjohn that involves choline, glycine, and creatine. 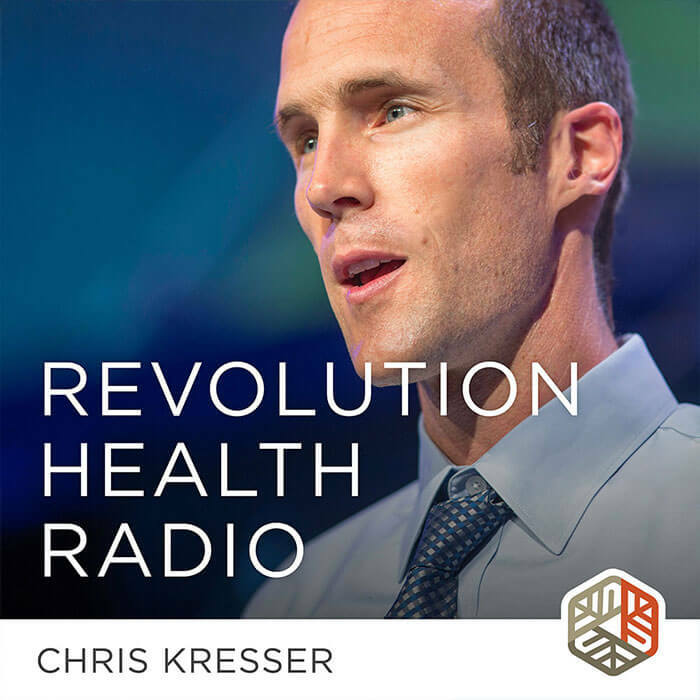 You can learn more about Chris’s protocol in his podcasts Living with MTHFR and What to Do about MTHFR. Correcting dysbiosis with pharmaceutical or botanical antimicrobials, fermented foods, and probiotics can help restore balance to the intestinal microbiota and optimize methylation. Women looking to become pregnant should focus on supporting their immunity to reduce their risk of infection during pregnancy and treat pre-existing infections before becoming pregnant. Finally, environmental toxins should be avoided as much as possible during pregnancy, infancy, and early childhood to reduce the risk of autism. Some simple ways to minimize toxin exposure include investing in high-quality water filters for drinking and bathing water, using stainless steel and glass water bottles and food storage containers rather than plastic, and avoiding handling receipts. Women planning to become pregnant should assess their body burden of heavy metals and undergo detoxification well before pregnancy to reduce their future children’s exposure to environmental toxins in utero. Now, I’d love to hear from you. What do you think of the research on methylation and autism? Do you have a child on the ASD spectrum, and if so, what methylation-optimizing strategies have been most helpful? Let me know in the comments below. I wish they had gone deeper here, apparently most infections get treated and the ones hospitalized too. Could it have been the treatment(antibiotics) that contributed to ASD rather than the infection itself? ASD is on the rise but I don’t believe infections during pregnancy are, if the infections themselves were the cause ASD should have been much more prevalent 200 years ago. Very glad you attending to this. What are your DNA testing recommendations? And exposome I do not see widely accepted; I understand it o involve RNA. Again how to test? To me, this has all been very clearly laid out by those who embrace epigenetics as having to do with toxins.